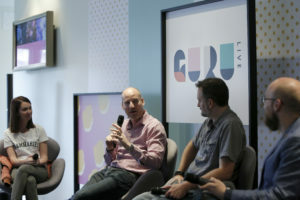 On Sunday 16th September, I traveled up from Brighton to BAFTA‘s headquarters at 195 Piccadilly, London to moderate the panel on Immersive Entertainment at the Guru Live event. I have always been a fan of the #GuruLive events and think they are a fantastic opportunity to network and find out what is happening across gaming, film and TV. I was joined on stage by three fantastic industry folk, including Mark Gerhard from Playfusion (who were sponsoring the panel), Gary Napper from Supermassive Games and Ben Maltz Jones from Rewind. Each business is working in a variety of areas across the immersive space from making VR & AR games to working on branded content. It was great to have a nice, busy session and a really energetic panel and audience, this really helped make the session and enaging and rewarding one for both the audience and participants. 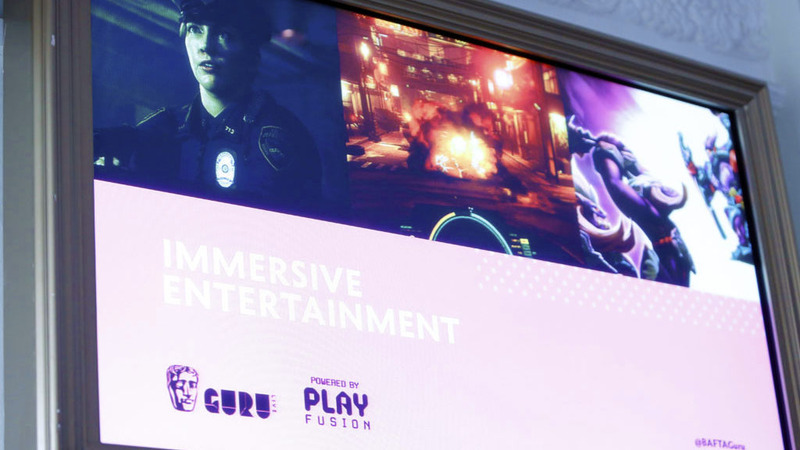 We opened the session by discussing our thoughts on the use of the phrase ‘Immersive Entertainment’ and what areas of the technology and industry we are excited about right now. We chatted through the challenges and the future of the immersive entertainment industry. How the current costs and headset restrictions raise the challenges for distribution, and how there is still plenty of room for innovation. We also touched upon the importance of events for the public and our thoughts on theatre including VR and AR. 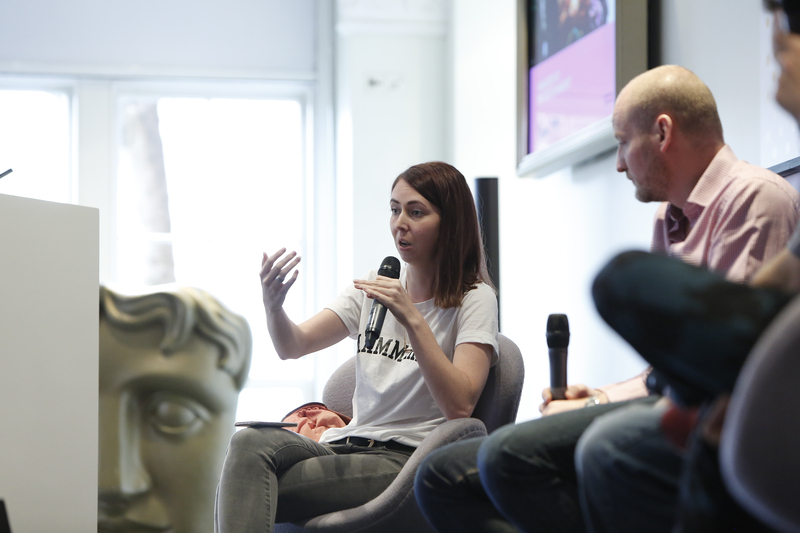 Thank you again to BAFTA for having me and if you want to see what happened over the weekend, you can follow the conversation at #GuruLive on Twitter. If you want to know a little bit more about BAFTA, they have some awesome events coming up and opportunities trying to get into the Games, TV and film industry, so make sure you head to bafta.org for more information.